In the summer of 2004, a band formed by recent Brother Martin High School graduates picked the perfect name—Flow Tribe. For 13 years, the band has literally been a tribe, busting out music made to shake a tail feather to. The band’s self-described “backbone crackin’ music”—a gumbo of funk, rhythm-and-blues, rock, bounce, hip-hop and zydeco—flows directly from the players to the people. Flow Tribe has that communal, celebratory connection so characteristic of New Orleans music. Flow Tribe’s members, all of them products of Catholic schools in New Orleans, grew up with local music. Louis Armstrong, Louis Prima and Kermit Ruffins, R&B and funk classics of the 1950s, ’60s and ’70s, and hip-hop hits released by Cash Money Records in the 1990s and 2000s, inspired the music-crazy kids who formed Flow Tribe. “Growing up in New Orleans, we lived in dual worlds,” says singer-trumpeter K.C. O’Rorke. “You’re raised on Dr. John, the Meters, Rebirth Brass Band, Allen Toussaint, Irma Thomas—those classic New Orleans figures. But we also heard national talent. We liked Sublime and the Red Hot Chili Peppers. 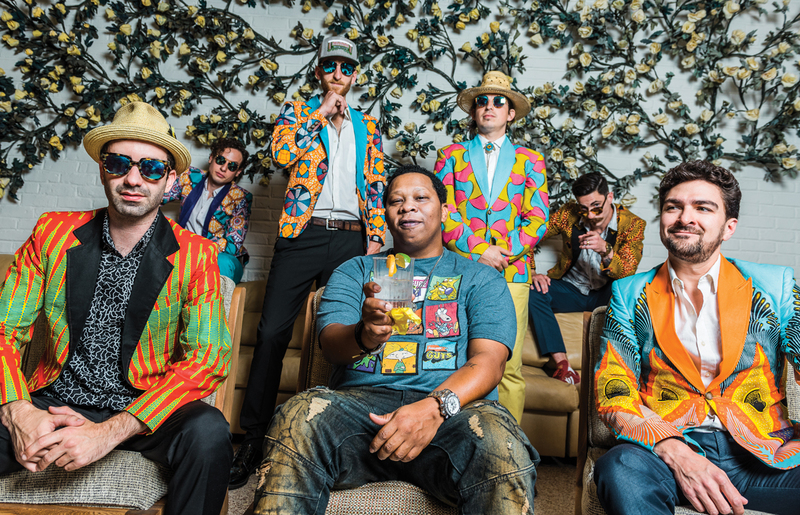 Flow Tribe makes a big Cash Money connection with Boss, the band’s new album. Mannie Fresh—the DJ and studio maestro behind Cash Money’s Juvenile and Lil Wayne hits—produced Boss. In early May, the album debuted at number 53 on the Billboard R&B albums chart. 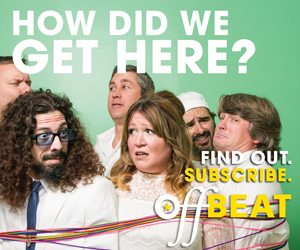 Flow Tribe originally planned to collaborate with Fresh for one single only, the funk-and disco-flavored “You Know What It’s About.” The Roland SPD-SX sampling percussion pad the band had recently added to its shows inspired the song’s dance vibe. Flow Tribe’s manager, Alex Bowen, who’d booked Fresh for headlining gigs at colleges throughout Louisiana in 2010 and 2011, connected the band with the famous hip-hop producer. Ultimately, the studio production differences between the band and their producer—rock versus hip-hop and electronic music—didn’t matter. The chemistry and atmosphere in the studio turned out to be good. Flow Tribe postponed the release of “You Know What It’s About.” The band and Fresh returned to The Parlor in September 2016 to record more music for Boss. They devoted an intense week of work to the production of nine more tracks. Flow Tribe recorded the new songs live in the studio as a full band. Fresh subsequently ran the songs through his production filter. He tightened things up and applied his hip-hop, DJ sensibility to the songs. Fresh and Flow Tribe, despite their different backgrounds and studio approaches, nonetheless have much in common. Two weeks before the album’s April 28 release, Billboard magazine premiered the music video for “You Know What It’s About” on its website. The band found the perfect location for the video, the Airline Skate Center in Metairie. Fresh guest stars in the clip, sitting at a grand piano. 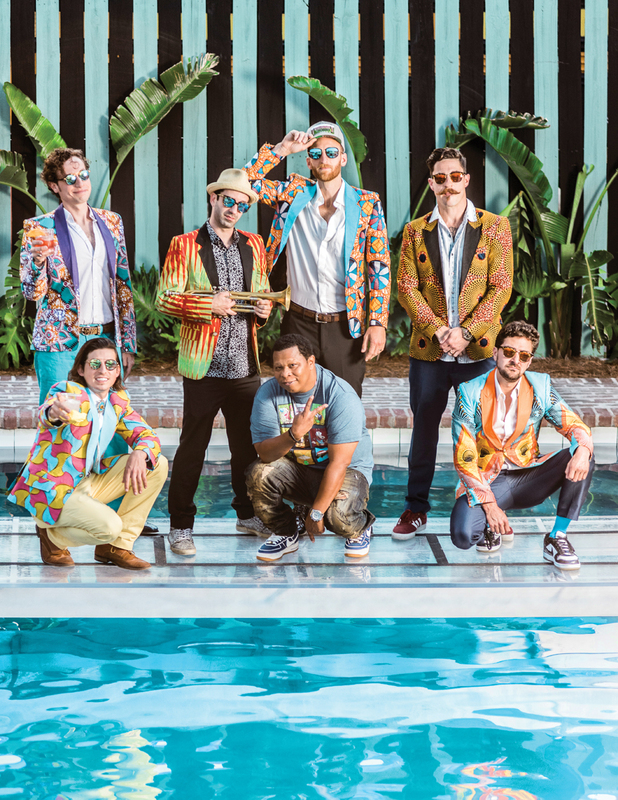 Flow Tribe features five graduates of Brother Martin High School and one Jesuit High grad. “I’m surrounded,” says Early, the sole Jesuit High grad in the group. In addition to Early and O’Rorke, the band features Russell Olschner (drums), Chad Penot (bass), Bryan Santos (guitar and timbales) and Mario Palmisano (guitar). Flow Tribe has had much the same membership throughout its 13 years. The band began with summertime jams in Penot’s backyard. By summer’s end, the musicians knew they were into something good. But then college in Baton Rouge and Alabama and National Guard duty scattered most of the band’s members beyond New Orleans. A major obstacle followed in 2005, when Hurricane Katrina devastated the city. By summer 2006, despite a few members still attending LSU in Baton Rouge, Flow Tribe reactivated. 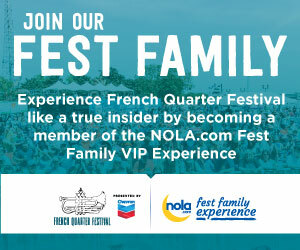 “We took the opportunity to come back, establish the band and be a part of the rebirth of New Orleans,” O’Rorke says. That summer, too, Flow Tribe secured a Sunday night spot at Friar Tuck’s Bar & Grill on Freret Street. Early dropped by one Sunday and sat in with Flow Tribe. He never left. Brian Santos joined in 2006, too. The Sunday night Friar Tuck’s residency helped Flow Tribe cultivate its performance chops. The band also played birthday parties and any other gigs it could get. In the next few years, Flow Tribe played the first real music venues of the band’s career in New Orleans. It also took road trips to Baton Rouge, Hattiesburg, Mississippi, and Destin, Florida. In spring 2017, Flow Tribe combined the release of Boss with its usual hectic schedule of festival-season gigs. The band’s New Orleans Jazz and Heritage Festival-concurrent gigs included Tipitina’s, the Little Gem Saloon, Wednesday at the Square, the Sanctuary Cultural Arts Center and, in Lafayette, Festival International de Louisiane. A disappointment, but this year Flow Tribe will play some 150 shows throughout the United States. That’s about 180 days on the road. The band’s spring and summer tour will take it across the Gulf Coast, up the East Coast, through the Midwest and to the West Coast. And along the way, some only-in-New Orleans experiences have come Flow Tribe’s way. In 2015, songwriter, producer and pianist Allen Toussaint sat in with the group at Tipitina’s. In 2016, their heroine, Irma Thomas, joined them in a performance of “Proud Mary” during a WWOZ pledge drive. Having toured throughout the U. S., Flow Tribe wants to bring its backbone crackin’ music to the world. “But that’s the one area where we really are chomping at the bit,” O’Rorke says. “We’ve always gotten a lot of good feedback from international folks. They love what we do, but we haven’t made that leap yet. A serious mission, but the uninhibited entertainers in Flow Tribe don’t take themselves too seriously, despite being serious about their music. Anyone who saw them busting moves in nuns’ habits at the 2012 Voodoo Fest knows that. much respect to the Tribe! !